Hot Washing Tanks are used for cleaning the contaminants on PET flakes like glue and oil which can not be cleaned by cold water. Chemical solution added hot water is accepted. 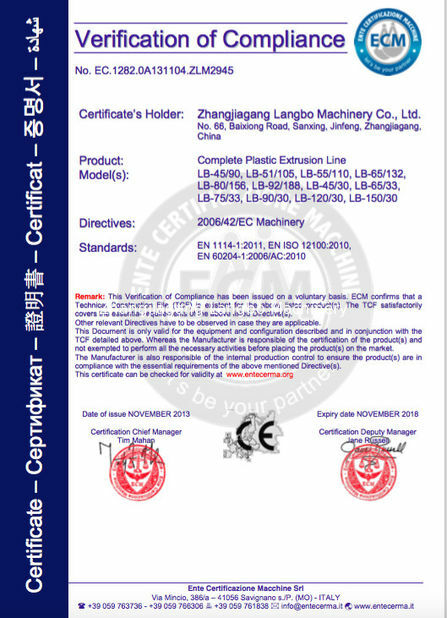 It is made of SUS304 with single or double layers. HOT WASHING TANKS USED FOR PET CRUSHING, WASHING AND DRYING LINES are used for washing Polyethylene Terephthalate (PET) scrap. Usually PET is used for beverage bottles, food containers or industrial film. 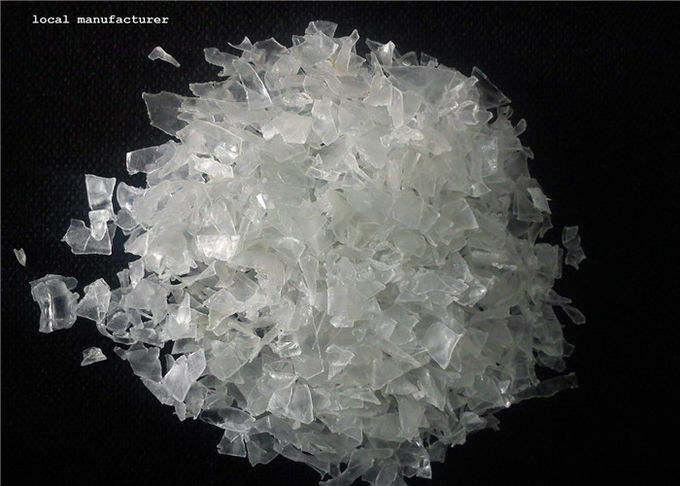 PET flakes that are produced by PET Washing Lines can be used for yarn, fabric, fiber or packaging product manufacturing. PET Washing Lines consist of Pre-Washing and Separation, Size Reduction, Sink and Float, Cold and Hot Washing, Label Separation and Drying process. 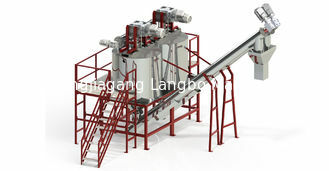 Scrap PET material is cleaned externally in the Pre-Washing part and separated manually. 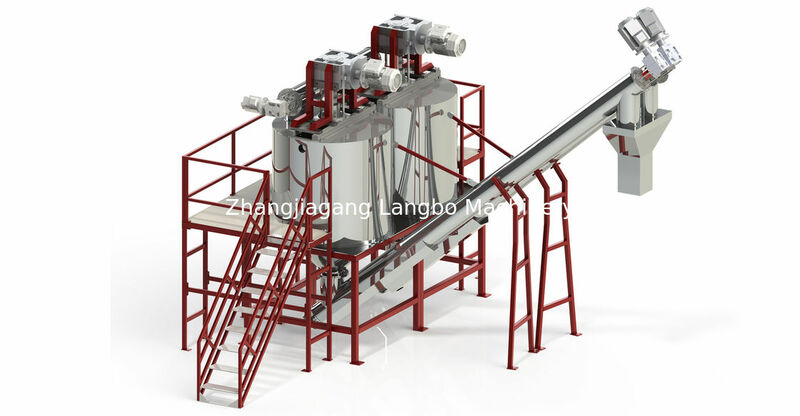 In Size Reduction part prewashed material is grinded and after that flakes are cleaned intensively in Cold and Hot Washing parts. After Washing and Drying PET flakes are separated from light label impurities. Lines are designed according to the contamination and capacity. 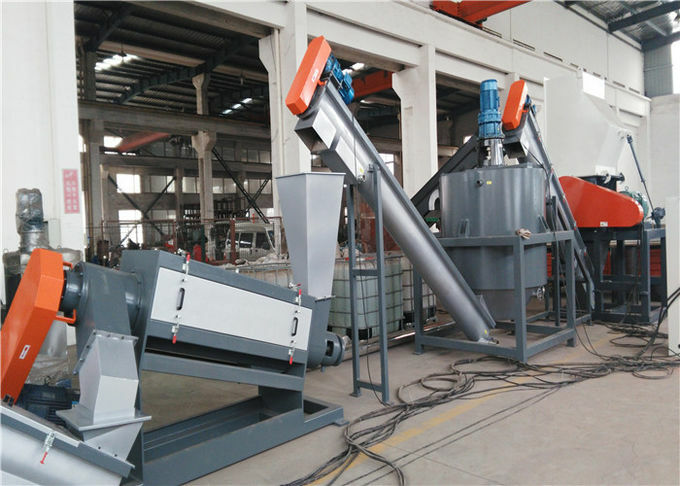 The complete recycling production for wasted PET which is crushing, washing and drying production line with the final products is clean PET flakes. 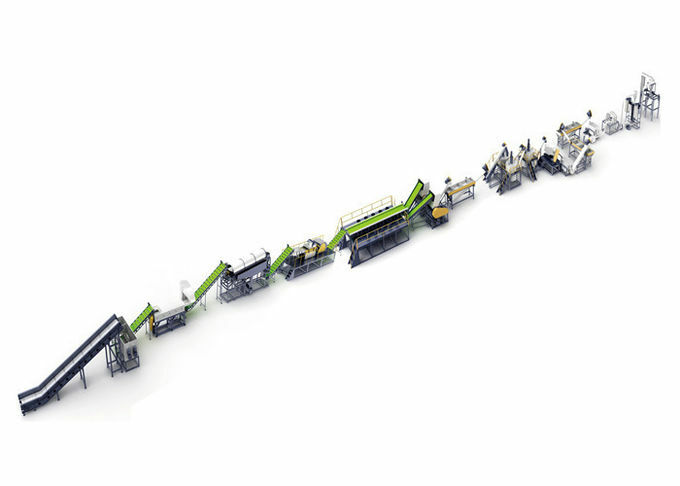 The processing procedure of the complete washing line for PET consists of sorting - label removing – crushing - floating washer with cold water - agitating washer with hot water- floating washer with cold water - centrifugal drying - label separating again–collection. Wasted PET can be crushed, washed, dried and collected into silo with clean PET flakes. 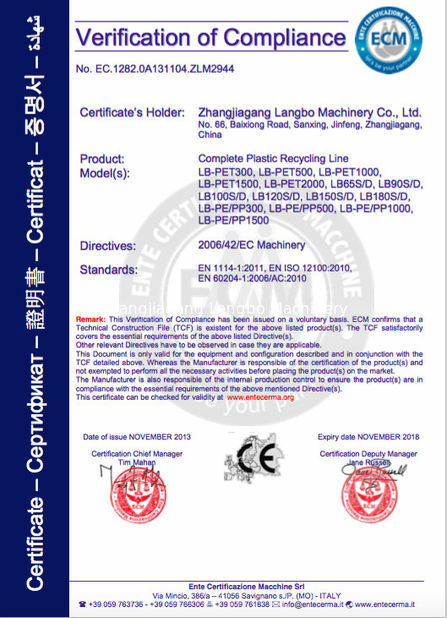 Applicable material: PET, ABS, PC, etc..
Materials shape: bottles, scraps, etc.. The production capacity can be 300kg/hr, 500kg/hr, 1000kg/hr, 1500kg/hr and 2000kg/hr. Depending on material shape, some units involved in complete line will be changed and available.